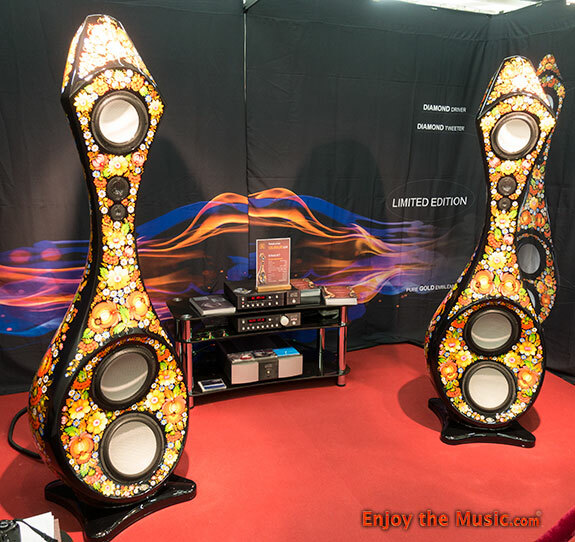 These hand painted in Ukraine speakers are by German company Volya and called the Bouquet (�120,000). These unique loudspeaker enclosures are totally hand-painted using a fabulous technique that originated in 1794. If you desire exclusivity within your luxury home, rest assured each speaker sets are custom-made to order. Each will be assigned a personal serial number and production time for a pair is said to be from four to six months. The speaker drivers are made by Accuton, the main provider of the components for Volya. Each pair is assembled under the leadership of Yevhen Kozhushko, the engineer with 25 years of experience in constructing and implementing advanced technologies. 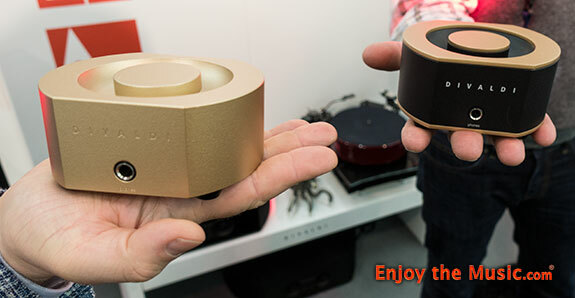 Poland manufacturer Divaldi was showcasing their new AMP-02 (�1100) at HIGH END 2018 in Munich. Their AMP-02 amplifier is a continuation of the AMP-01 and is design with a modified PCB. 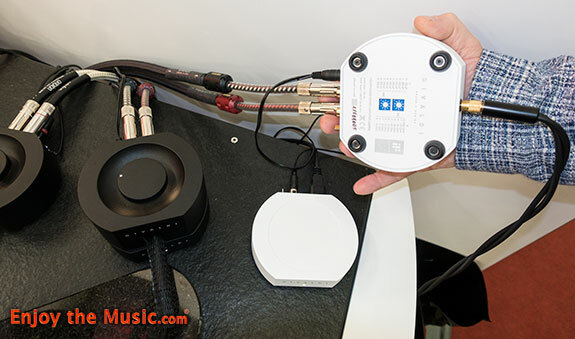 This new model is equipped with an additional phono stage for moving coil (MC) cartridges. On the bottom of the unit is a multi-step fit selector for MC (10 Ohm to 100 Ohm). A high quality headphone amplifier with 6.3mm stereo jack plug is also provided. AMP-02's housing is made of a solid body of high quality aluminum. Built-in amplifier power is provided by a specially designed external power supply for 16V AC. A separate 230V power switch is installed in the power supply unit for those in such countries. It is also available in a variety of colors as seen within these pics. What is built like a tank, seems nearly as heavy as a tank and has the word tank in their name? 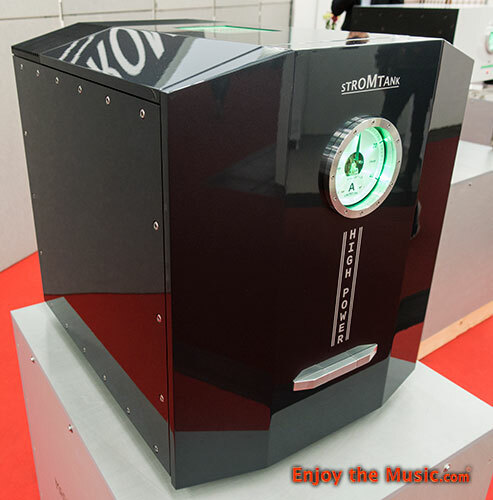 Stromtank, a brand of WinBat Technology GmbH brought their massive S5000 ($30,000) device that supplies pure battery power to your audio system. As a big fan of battery power ever since trying it years ago with the $30,000 Silbatone C-102 preamplifier in 2002, today there is approximately 700 lbs of batteries within my home for a variety of 'mission critical' systems including all audio systems. 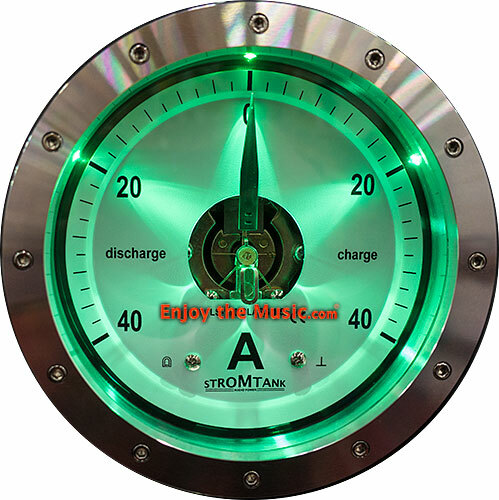 Enjoy the Music.com Editor Tom Lyle said within his review, "Unless one lives in an area that shares a power line that comes from the power company with no one else, I can't imagine one being disappointed with the performance of the Stromtank. And I'd bet even those audiophiles will hear an improvement in their systems because of the pure sine wave of battery power that the Stromtank delivers. The Stromtank cannot be compared to other power conditioners on the market because it isn't a power condition. It is power. Period. And that's the beauty of the Stromtank." Read Tom's World Premiere Review of the Stromtank S2500 ($19,500) battery power supply at this link. During HIGH END 2018 Norwegian singer and songwriter Kari Bremnes was signing her album and meeting with fans worldwide. She got an M.A. in language, literature, history and theatre studies from the University of Oslo, and worked as a journalist for several years before deciding to dedicate herself to music full-time. In 1987 she received the Spellemann Award (Spellemannprisen) for the record Mitt ville hjerte, and in 1991 for the record Spor. With her two brothers, Lars Bremnes and Ola Bremnes, she received the prize for the record Sol�ye in 2001. ---> Onward to CanJam 2018 Munich Featuring Campfire Audio, Headphone Company, MrSpeakers, Headsound Audio, Modenaudio, Carat One, 1More And Audeze.